Welcome to this latest issue of the MIS which we get underway with a mass of Glastonbury news. 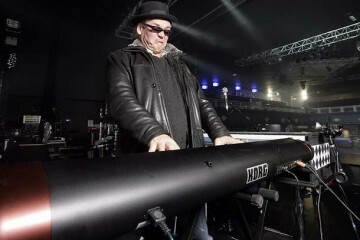 BBC Four have been listed as showing highlights of Squeeze and Madness between 19.00 and 20.00 on Saturday Evening. While BBC Two are live from Glastonbury from 16.00 until 17.15 Saturday (more coverage from 20.00) so it’s likely they might show some of the band in action during their broadcasts. The Red Button Service will be running 4 live channels from 16.00, so you may also find that one of those might be showing the gig in full. BBC Radio Two will be live from Glastonbury too. Jo Whiley and Dermot O’Leary will be on from 16.00, playing songs during the time Madness are appearing. 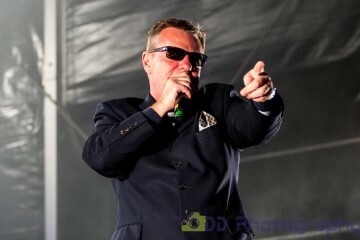 In further Glastonbury news Chris Carter-Pegg has been in touch to say that this coming Sunday (15:00 – 16:00) Suggs will be appearing at the Stone Bridge Bar. Chris believes that will be a DJ set, though it isn’t stated either way in listings. Beyond Glastonbury, and later in the year, the band are appearing again on the BBC as part of Radio Two’s bill of artists at Hyde Park. This is a gig that will see them alongside Elton John, Travis, Status Quo, Leanne Rimes and more. Check out the info in our “Sign of the Times” section. This will also be heard on Radio Two and on the BBC red button you can watch the concert. (If you’re a reader outside of the British Broadcasting system we don’t know if these broadcasts will find their way onto other sites, but we’ll put any links we discover in a future issue. Now, enough of Glastonbury, let’s get on with the issue! Pre order now – and get “Untouchable Madhead” Status. Potential Tracks, Based only on last years House of Fun set – Grandslam, I Believe, Soul Denying, Mumbo Jumbo. When Did All The Good Times Go, Herbet, Mr Apples, Blackbird On The Wing, Dont Leave The Past Behind You, Whistling In The Dark, Cant Touch Us Now, Given The Opportunity, Another Version of Me. Potential tracks – Based on recent live shows – Step It Up Sister, Bite The Bullet, Western Standard Time, Cuss Cuss, On Her Majesty’s Secret Service, Feel a Little Better, Hungry, The Wickerman, 30,60,90 , I am King, Cry To Me, Tunnel One, I’ll be back again. Nick Woodgate – Kaleidoscope EP – June 10th – i tunes. Tracks 1, Morning Skies 2, Yvonne 3. She’s The One 4. All The screams in the night. 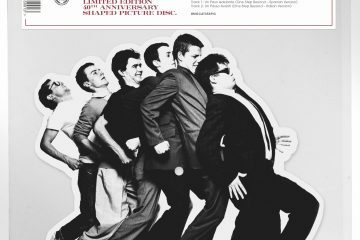 This album Features original acts & covers bands paying respects to the Dance Craze phenomenon. 1.30pm to 9.30pm. Sunday September 11th. BBC Radio 2 has announced the full line-up for its Live in Hyde Park, which takes place on Sunday, September 11. Elton John, Madness, Status Quo, Gregory Porter, LeAnn Rimes, Jamie Lawson, Andreya Triana and Travis will all perform for the 50,000-strong crowd in the park, to be broadcast live on BBC Radio 2 and BBC Red Button, BBC iPlayer and the Radio 2 website. Jeff Smith, head of music for Radio 2, says: “Radio 2 Live in Hyde Park has become a spectacular celebration of music from some of the world’s best-loved musicians. The incredible line-up of artists represents the broad range of music played on Radio 2 every day from jazz to rock, country to pop. The ammunition is ready to fit into the barrel, the second Lee Thompson Ska Orchestra LP appears to be a 50/50 original compositions, with well-chosen classic tunes to rework. Here is our track by track guide. 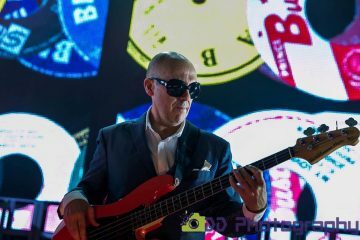 Bite The Bullet – This is a new anthem piece by Mark Bedford, (live NJE lathe recordings aside, this is surely the first Bedders piece since Butterfield 8, and first credited record with Lee since One Better Day!) A catchy and perfect to start off this Ska album as title track. Western Standard Time – Newly penned sequel of sort to the first albums classic eastern cover version. Written and directed by trombonist Bob Dowell – in a Western soundtrack Ennio Morricone style that instantly makes this one feel like you’ve heard it before. On Her Majesty’s Secret Service – The George Lazenby bond film – The John Barry cover. Ska Orchestra Style. Oh, oh Seven. 30 60 90 – Will Mitchel composed, Jack Hawkins band cover – It’s in Michael Caine’s Get Carter film in the night club scene on the soundtrack. Overall the instrumentals on this album have more unique character to set them apart than some of the ones on the first album which now feel a bit like “also rans” on what is otherwise their fine debut LP. Feel a little better – The band’s newly added second guitarist, turns out to be predominate song writer. A happy tune that bops along nicely, while telling a tale of being free from the pain of a nagging relationship. I am King – Andy’s second penned track is a stormer, boldly dramatic vocally, and great harmonies and laying down the law about the dominate position in relations. It rules with force. Step it up sister – Mez The drummer composed – In a prince buster style. Sublime vocals from sister Sumudu! sizzling in sounds. And instant hit live. Surely this should be a single. The Wicker Man – New Lee Thompson Lyrics. Mr. Vause and Mr. Neal provide the music, even a help from NJE drummer Simon. Lovingly haunting brass, and a great vocal performance. One of many from Lee. Cry to Me – Darren’s dirty dancing song in a swing Ska mode he covers Solomon Burke. What could be cheese slush, instead fits in fine with the bands wider scope of 50’s style music, the great voice of the bands backing vocalist, given a moment to lead, first time since the live Jimmy Cliff rendition from the first EP, a stand out aside moment that’s a credit to give an album a quality of range. I’ll be Back – A Beatles reggae cover covered by Mike Brookes, re-covered by the Ska Orchestra. Slow vibey and reggae. Both recognisable from a Hard Day’s Night or a nights hard reggae. Hongry – 1965 The coasters. A band we know Lee has a lot of time for. Written by Leiber Stoller (they did Jailhouse Rock, Hounddog for Elvis, The Coasters Yakety Yak etc. and Stand by me) A tale of depression and starvation. Ironically first played live in a posh London Restaurant! gig. Cuss Cuss – A Lloyd Robinson tune, (also covered by Horace Andy) This is brilliant a late edition but a stand out unique groove. This is the new Bangarang. Your Fuss fuss. We don’t want it. We don’t need it. These 12 tracks make up the album as currently stated on Amazon/itunes. Though earlier proof of the artwork showed a CD of 13 tracks. More on that fact, when the album CD finally reaches us as a pressed item. The current release date is set as August 26th, but you can get an album free on the 25th if you attend the 100 club album launch gig. A FUTURE 7”/CD SINGLE? WHAT DO YOU THINK? It’s been a few weeks since the fans were asked to pre-order the forthcoming Madness album, and at the same time attain “Untouchable Madhead” status, but what of a single release prior to the album release? “I think I remember MIS asking subscribers about their views on 7″/CD singles releases. Is it worth asking this question again ahead of their new LP? I love what they did with The Liberty box set and the deluxe Oui Oui CD release. However I am not a fan of download only releases or paying a fortune for promo CDs from ebay in an attempt to keep my collection as close to completion as possible. I would love a physical release – picture disc, gatefold 7″ (Forever Young seems like a very distant memory), anything really. I know cost must be a factor, but could the record company be persuaded to do a pre-order for a limited release, what do you think? Would you be prepared to pay for a physical 7”/CD single release in the run-up to the album launch? Let us know your thoughts and opinions. You never know. If there’s enough interest it could be worth giving the band and/or their management a gentle nudge. Our issue got underway with an intro filled with chart news all courtesy of the one and only Paul Rodgers. “If you add the USM release to the Stiff release, Complete Madness has this week reached the milestone of 100 weeks in the top 100. That’s 88 weeks for the original release and 12 for the USM version. I do believe a glass or two should be raised to the original, and possibly the best, Madness compilation for this splendid achievement. 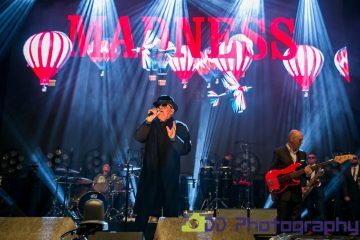 Madness are now only 2 weeks away from 500 weeks on the top 100 albums chart. I’m sure they will get there sooner rather than later. Still no sign of Le Grand Pantalon, but with over 102,000 views of the advert on youtube it may still chart, especially if demand builds up when the limited number of free 2 minute downloads run out”. On to the articles, and we kicked these off with the news that Le Grand Pantalon (a slowed down version of Baggy Trousers) had now received its own music video. 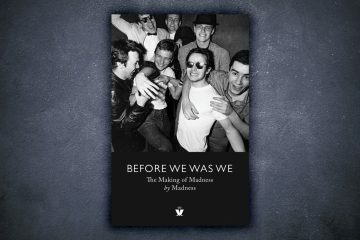 The interesting thing was that this wasn’t an official release, and instead, it had been put together by Madness fan Mick Jenner. Next, it was over to The Specials, as we re-printed an article from the BBC “The Specials: How Ghost Town Defined an Era”. With the single now 30 years old the BBC took a look at just how this strange but unforgettable record captured a moment in history. Following this it was on to Our House Musical news and we re-printed an article from the Falkird Herald who had covered a recent performance staged by the Graeme High School. 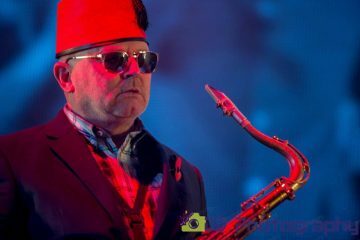 Moving on, and Jonathan Young reported that a new Ska Orchestra album was being recorded and more gigs were also planned. 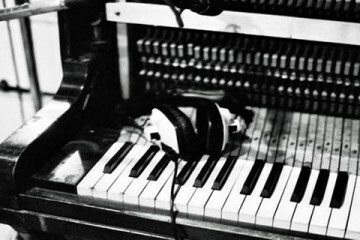 Lee Thompson told us at the time; “TSO recordings we laid down last weekend. They sound very pro. Got 5 down & mixed. most enjoyable, joyous Experience. It was so enjoyable, Bedders, myself & All can’t wait to go back in”. The main article this week came from the one and only Paul Rodgers, who was kind enough to regale us in great detail the band’s recent performance at the Meltdown Festival. Could this be the first live performance for Death of Rude Boy? This week we were firmly planted in Madness World Cup territory, as we revealed the results to the semi-final of the 2006 event, as well as taking a look towards THE BIG FINAL. This week we started a series of articles, trying to identify all the lyrics from The Lost collection of songs. What better way to begin, than with one of the hardest – the early version of the song that became Green Eyes. As there was no actual reference to ‘Green Eyes’ in this song we gave it a name of ‘She Walks Alone’. Moving on, and in our next section we featured a transcription of an article which originally appeared on the radiotoday.co.uk web site. “Virgin Radio is launching a brand new channel that will bring Party Classics from Madness legend Suggs to the nation all day every day. Virgin Radio Party Classics will appear on Sky Channel 0204 and will play even more of the very best feel-good music that people tune in for with Suggs every Friday and Saturday night. Classic tracks from the likes of B52’s, Prince, Madness and Jackson 5 will be going out to a potential 8 million people across the nation via Sky Digital from tomorrow. 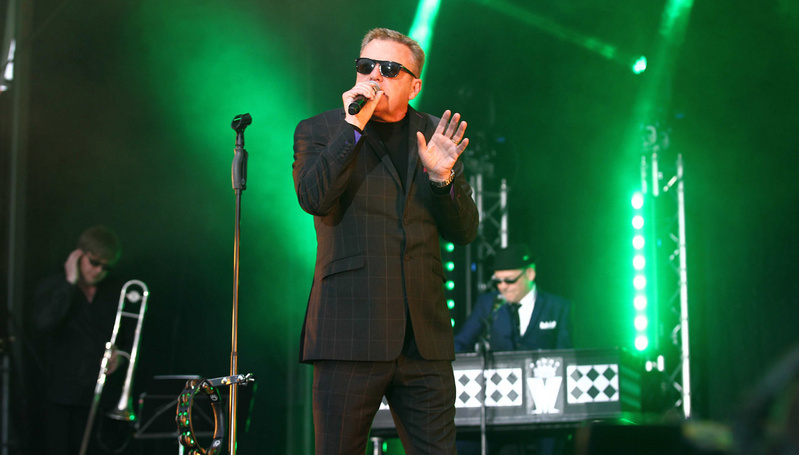 Suggs’ original Party Classics show will also be broadcast live on the channel every Friday and Saturday night”. We went back to our Lost lyrics theme for the next article, as we looked at ‘Into The Blue (It’s for the Best)’. An old friend living over the sea with his woman? Who could that be a reference to? 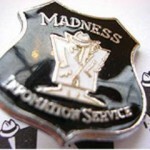 There was something to interest you Madness collectors for the article which followed, as we revealed that Chris and Emma of Madness4Sale had recently finished compiling their 2006 catalogue of over 850 different Madness items for sale. The catalogue also included the remaining unsold merchandise from the Our House Musical, of which they were now the official retailers. In addition, 185 of the rarer/most expensive items from their catalogue were currently listed on Ebay all with colour pictures and all available with ‘Buy It Now’. We continued with our Lost lyrics next, as we took a look at ‘From Another World / Mr Wheeze’. You could see we’d been struggling with the transcription on this one, as a few of the lines were missing or only had the odd word or two. Following this we moved on to our World Cup article where after much banter and chatter we announced that the final would see One Step Beyond go against the mighty Absolutely. Which album would win? You’d have to wait until next week to find out. It was back over to more Lost lyrics for the next article, which this time featured lyrics and analysis to the Chas Smash Waltz and Goodbye Mr Chips. We finished off this issue wit the news that MTR co-maintainer, Steve Bringe was looking to swap one or two of his backstage passes with a Madness one you may have had in your collection but no longer wanted. The months of waiting were almost over, and the Blackpool weekend was almost upon us. For those of you who were going, TMML subscriber, Peter Stean suggested pointing your web browser over to the official Blackpool Tourism site at: www.blackpooltourism.com – it had maps, details of what’s on, shopping and restaurants etc. If you had any spare time from the hectic schedule that the organisers had kindly put together, maybe you could find something of interest on the site to visit when you were in Blackpool. Could you lend a hand to a fellow Maddie? Simon Walshe was busy trying to put together a discography, and wanted to list as many known bootlegs in this as possible. Simon mentioned that he currently knew of nine, but wanted your help with identifying others. Now, for all those of you who were old enough to remember Namco’s famous pizza-shaped chomper, Pacman (or Puckman if you’re Japanese! ), you may have found the following story rather interesting. With computers as powerful as they are today, a whole emulation (making your computer run like an old computer/arcade machine) scenehad sprung-up in the past few years. Games that years ago you could only play down your local arcade as your home computer just wasn’t powerful enough, could now be run with ease on your PC desktop. What had this got to do with Madness?! Well, a certain MIS Online subscriber, remained nameless e-mailed over some Pacman ROMS (files containing the data from the Pacman arcade board) which he’d been altering for his own personal amusement. This new version of Pacman had been completely altered into a Madness themed edition, and would no doubt have been very popular with arcade goers, had it been released back in 1980. It was over to Graham Whitfield next, who reported that he’d just caught a glimpse of Suggs on GMTV (15th June). The show was focusing on Big Brother, and Suggs was being interviewed at some show biz type of event. The reporter asked him what he would do if he was a contestant. In his typical “nutty” way, Suggs described how he would spend all his time alone in a tent in the back garden, his strategy based on the hope that all the other contestants would forget about him, and hence he wouldn’t be nominated. All he would require would be a large box of chicken dansak and a microwave. Next, it was on to Simon Walshe, who emailed in to tell us that the BBC’s resident Madness fan was back in full swing once more. This time, not only was he/she content with using the lads finest tracks as backing music, but now the cast of the shows seemed to be getting involved in a bit of Madness themselves. “Watching DIY SOS the other night on BBC1, whilst introducing one of the houses they played Our House in the background, don’t think there were any vocals on though. However, about ten minutes later into the show It Must Be Love began to play and the whole crew of builders/decorators and the like began to sing along to the tune, beautiful rendition of It Must Be Love on prime time telly, well less of the beautiful”. 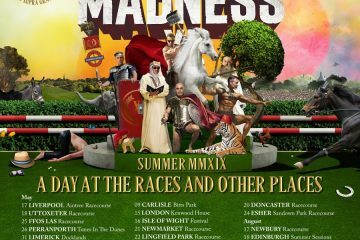 We focused on tribute bands for the next article, as we listed forthcoming dates for Complete Madness, Badness and Los Palmas 6. We brought the issue to a close by explaining that in two weeks’ time we may encounter a problem sending the MIS out on time as Jon would be up in Blackpool for the Madness weekender, and Rob would be visiting friends in Jersey. Next week’s MIS would be hitting your mailboxes at its usual Sunday slot however. In reply to a post from Barry Nolan on the Invaders Group, about Madness following the breakthrough musical landscape changes created by the punk movement…. “Fair comment. Pub rock helped but punk meant you didn’t have to read music, or be that good at playing your instrument. Right, that’s another issue of the MIS but to bed. If you fancy something a little different, join us here for a curry.